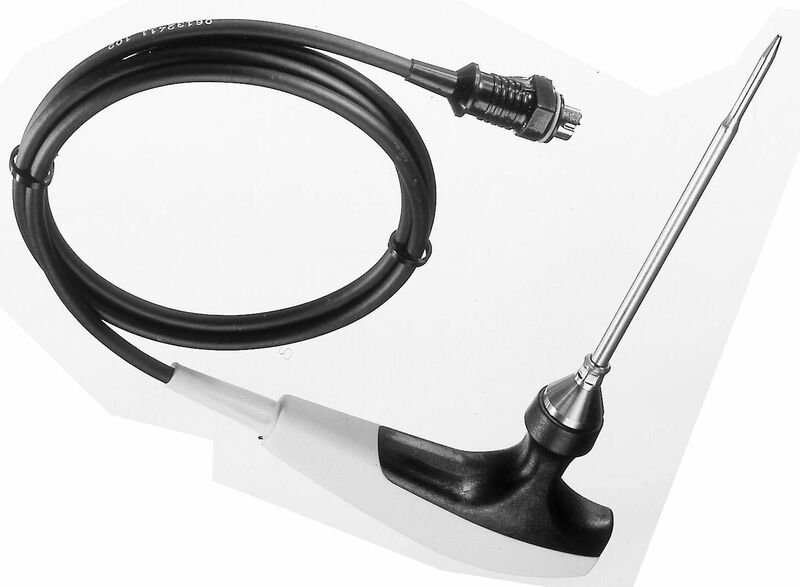 For temperature penetration probes, it can generally be said that: the thinner the probe, the faster its response time and the less deeply it needs to be immersed into the measuring object in order to deliver correct measurement results. However: the thinner the probe, the more care is needed to handle it. We can adjust probe shaft length and probe shaft diameter to meet your own personal requirements. Depending on probe type, we can manufacture rigid probe shafts in lengths of up to 3000 mm. Please note that if the probe shaft is 2000 mm long or above, there are additional freight costs. We can manufacture flexible sheathed thermocouples in lengths of up to 30 metres. The sheathed thermocouples are delivered coiled. Depending on probe type, we can supply the probe shafts in diameters of up to 12 mm.